One thing we hear over and over is that choosing where to live in Charleston can seem really confusing. The tri-county area is big and diverse– figuring out which area, island, town, or neighborhood will be best for you and your lifestyle requires some homework. To help you figure out what your priorities are for a new home, we made a checklist to that can highlight your wants, needs and priorities. Answer each question, then rank the importance of that priority from 1 to 3, where 1 = Must Have, 2 = Nice to Have, 3 = Not Important or Low Importance. One piece of advice: If you’re buying a home with a partner or spouse, each of you should go through the checklist separately. Then get together and negotiate in any areas where you diverge. Do you want a single-family home, townhouse, or condo? Do you want acreage or a big yard? Do you have an ideal school district for your kids? Do you want to be within walking / biking / golf cart distance of restaurants and shopping? Do you want a view of the beach, the marsh, or trees? Do you want to be close to a marina? Do you want to live in a historic home or neighborhood? Do you need a garage? How many cars? Would you consider building a home? How far are you willing to drive to downtown Charleston? Do you need boat storage or a dock? Are you willing to pay more for flood insurance in certain zones? 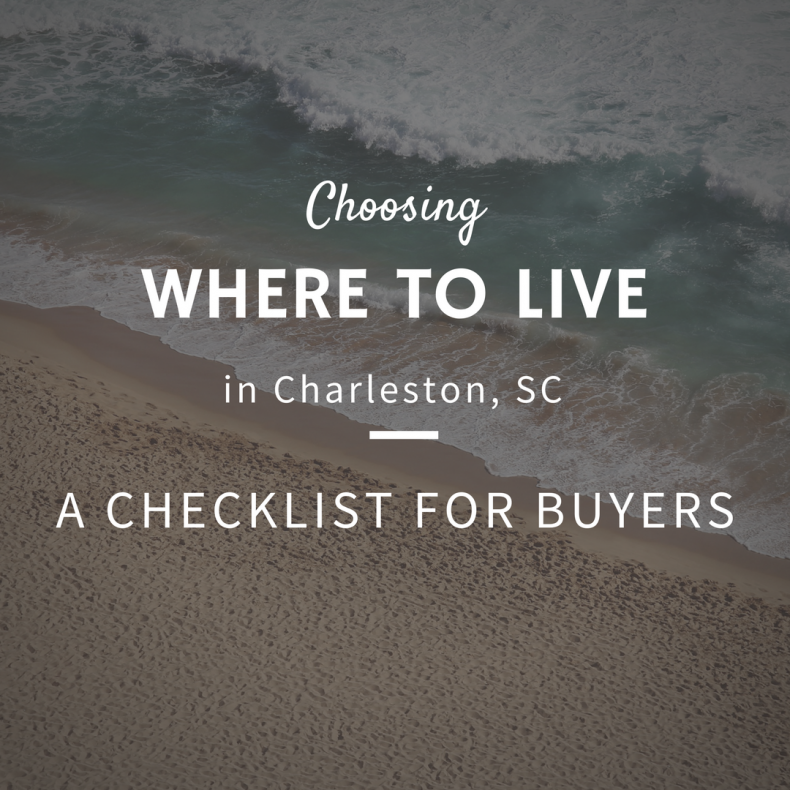 Having the answers to these questions can help you and your family decide where to live in Charleston. Share your list or lists with your Realtor; the more they know about what you want and your priorities, the better they are able to hone in on a home that has something for everyone in your family. Oh, and before closing day – be sure to read our post on avoiding wire scams. Want to learn more? Download our free eBook Nearly Everything You Need to Know About Buying, Selling, and Refinancing in Charleston, SC.